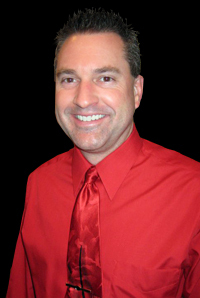 Jaz Primo is an award winning author and the cornerstone writer at Rutherford Literary. His debut novel, Sunrise at Sunset: Revamped, has a distribution of over 100,000 readers and growing. 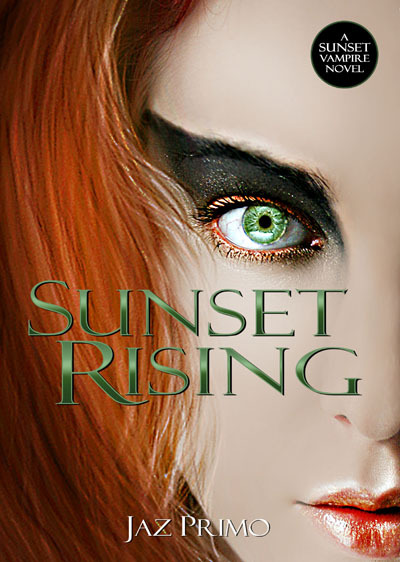 As of 2015, Jaz has published eight novels spanning urban fantasy, young adult, and paranormal romance. His fans anxiously anticipate where his creative talents will lead them next! 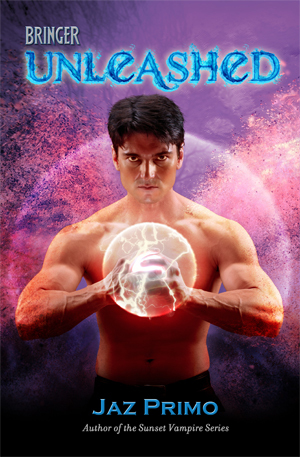 Spinning "a wonderful first book in his Logan Bringer series" (Paranormal Romance Guild), Jaz Primo has created a new urban fantasy hero in this story packed with explosive action, danger, and intrigue. Logan Bringer is a cancer survivor and war hero who should have his hardest battles behind him. But when he develops the ability to move things with his mind, he's hunted by corporations, terrorists, and his own government. When even his family is threatened, he fights to control his new powers— and becomes more powerful than his enemies can possibly imagine. In the early twenty-first century, the world is a darker place where international superpowers tenuously jockey for both political and economic supremacy. It's a time when the rights and interests of the individual carry little weight. But a medical breakthrough spontaneously blossoms telekinetic abilities within the body of one man, altering humanity's evolution and threatening to tip the world's balance of power. That man is Logan Bringer. When humankind's greatest achievement leads to a race for its control, some will bring political and economic powers to bear. Others unleash an array of assassins and weaponry. However, when an assassin directly threatens Logan's family, Logan unleashes himself. He is…the Bringer of Fire. Go to Jaz's website at http://www.jazprimo.com/books for purchase links! 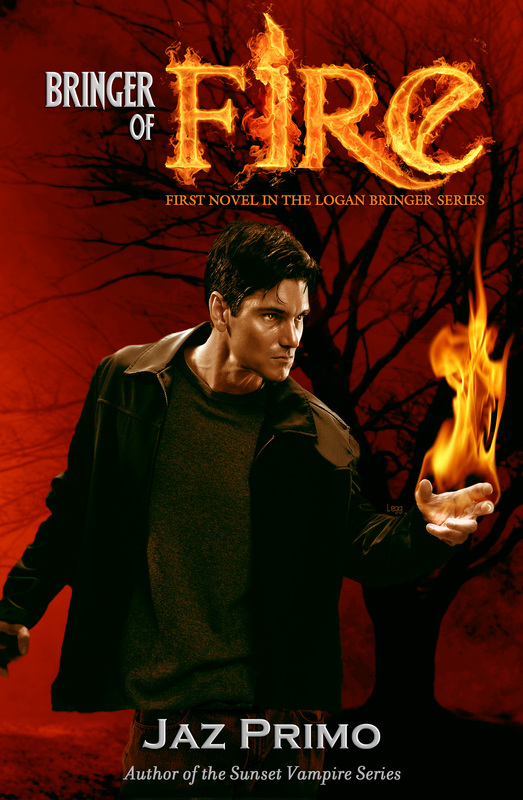 In the exciting sequel to Bringer of Fire, Logan Bringer battles for his life against telekinetic foes who vastly exceed his own abilities. FBI Agent Megan Sanders has been Logan's partner and confidant, but now his feelings for her may contribute to his demise. For Logan, restraint is no longer an option. The telekinetic war has begun and Logan Bringer has been unleashed upon it. 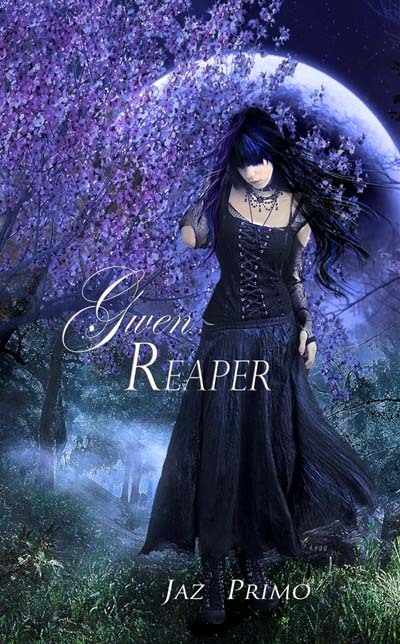 Winner of the Paranormal Romance Guild's Reviewer's Choice Award for Best Young Adult Novel of 2012! When high school junior Scott Blackstone is forced to move from his childhood home in Springfield, Illinois to small-town Custer, South Dakota, he expects nothing less than to languish in complete disappointment. Instead, he discovers a beautiful and mysterious seventeen-year-old girl named Gwen, who captivates him from his initial, adrenaline-laced sight of her on the shores of Stockade Lake. Scott's pursuit of the elusive Gwen sweeps him into the midst of a potentially lethal family heritage that was birthed in hope, only to be passed into a legacy of guilt and death. 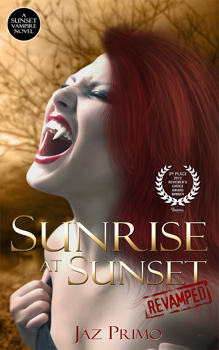 The Sunset Vampire series was awarded Third Place in the Reviewer's Choice Award for Best Paranormal Series of 2012 by the Paranormal Romance Guild. 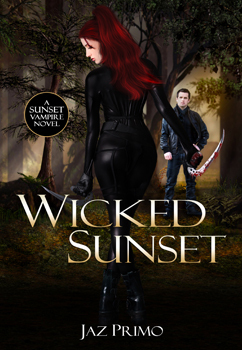 With a distribution exceeding 100,000+ since its 2010 debut, the Sunset Vampire series has grown to become a favorite among vampire and paranormal romance readers. This collectible and enhanced second edition is a content-enriched version of the original novel that includes a foreword and insightful interview with Jaz Primo, as well as a special bonus chapter containing new, never seen before material. 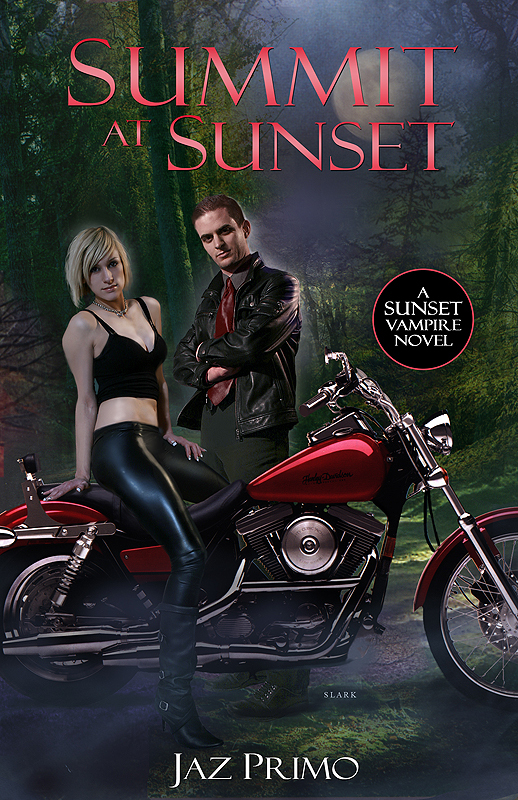 If you're easily offended or turned off by: dominant or assertive female figures, primary love-interest characters that are beta males, or non-traditional relationships between men and women, then you should NOT read the Sunset Vampire Series! Everyone Else: You're in for a real treat that's edgy, unique, and highly satisfying. 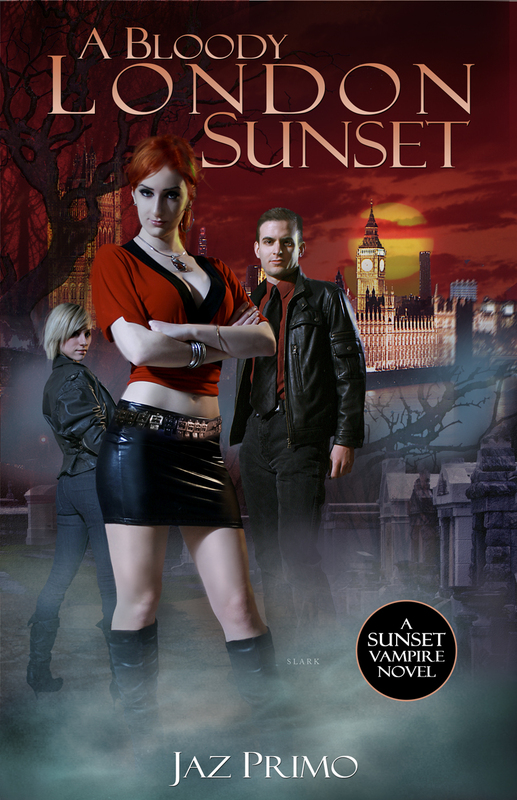 Welcome to the Sunset Vampire Series! Can one woman's love triumph over another's thirst for revenge? 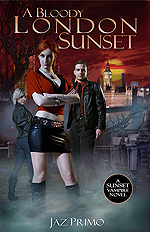 The third, and most exciting, novel in the Sunset Vampire series has finally arrived! 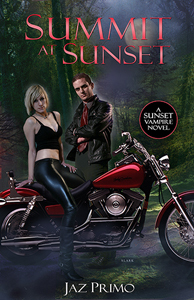 In Sunset Rising, the exciting fifth installment in Jaz Primo's Sunset Vampire series, life is the ultimate prize in a race against time. Vowing retribution, Katrina tenaciously seeks out those behind the attack against Caleb. Mounting challenges prey upon Caleb, creating a crisis of conviction that unravels his world. Paige's conflicted feelings erupt, altering the lives of those she loves and leaving emotional disaster in her wake. Battle lines are drawn as the vampire world's fiercest beings choose sides, rendering those undecided few as hotly contested spoils in a growing war. Copyright © Rutherford Literary Group 2014. All rights reserved.